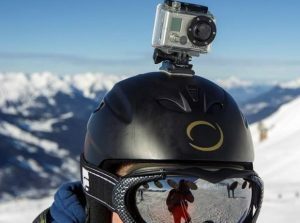 GoPro, the maker of action cameras made to be worn on the body that have become the favorites of thrill-seekers, athletes and anyone who wants to take a video of almost anything, has said that it would eliminate up to 200 jobs in order to keep its costs down. The CFO at GoPro Brian McGee announced during a webcast that the company would cut its overall workforce by approximately 15% or close to 200 of its full time workers and would also reduce the number of contractors it uses. GoPro will eliminate the entertainment unit it has as well. McGee said the steps GoPro is taking were part of its restructuring effort to lower its operating expenses to approximately $650 million. GoPro shares have lost close to 50% of their value in 2017, but were up over 1.5% during Wednesday trading. The announcement was reconfirmed through a prepared statement and marks one more twist in GoPro’s struggles since going public during 2014. The camera maker said that its president, Tony Bates, would be leaving the company at the end of 2016. It quoted the president as saying his 3 years at the company were incredible and that he is confident the business has solid leadership in place and is deeply focused on its profitability and core business. GoPro experienced a loss during the recently ended third quarter and is now under heavy pressure to show there is more of a mainstream market for its cameras beyond its core, which is adrenaline laced video makers. It is also facing heavy pressure from smartphones. Earlier in November, GoPro announced a recall of 2,500 Karma drones due to its product falling from the sky, said McGee during the webcast. The CFO added that the business has been working diligently to return the drone to the market and that it was an integral part of the company’s future strategy. McGee added that the company will continue to focus on camera, drones as well as software, adding anything not in that particular core part of the business would basically not be done any longer. GoPro had been banking on its camera’s usage by daredevils as their choice of camera for recording surfing, skiing as well as other experiences. However, surfer turned entrepreneur Nicholas Woodman, who founded the business said the company has had to sharply narrow the overall focus it has.